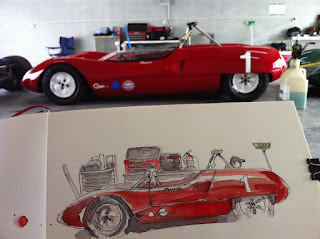 A couple of sketches from Hampton Downs last weekend. Great to see so many visiting cars from overseas, the Lotus 23b below is one of 2 23b's visiting from the US. This one belongs to Travis Engen, and I understand he also owns and wins historic Enduros in an ex Le Mans winning Audi R8! Anorak fact: The 23b Lotus caused such a stir at their debut at the Nurburgring in 1962 (leaving much more powerful Porsches, Aston Martins and Ferraris in their dust - not bad for 1000cc) that the Le Mans officials outlawed them on a minor technicality for the upcoming Le Mans, causing Lotus to boycott Le Mans indefinitely. The whole event is held in celebration of Denny Hulme, our only Formula 1 title winner. On display and on track are many of his cars and even his jet boat called 'Can Am' powered by an enormous V8 out of Can Am racer and towed by a McLaren orange Range Rover. 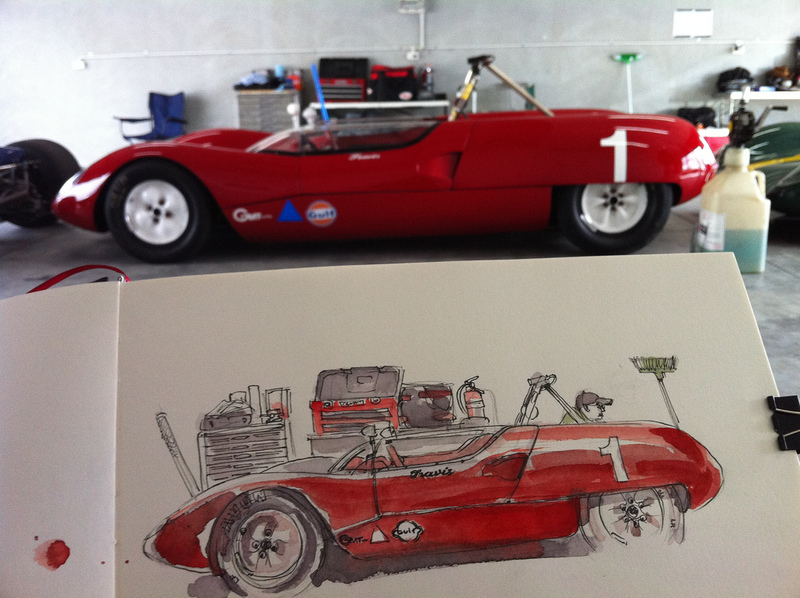 Here's a sketch in the McLaren Trust garage below of his Yardley McLaren M23 with the nose off for a battery recharge and his 1968 Can Am championship winning McLaren M8. I found the video on motorsportretro.com - it'll really put you on the mood for looking at this post! 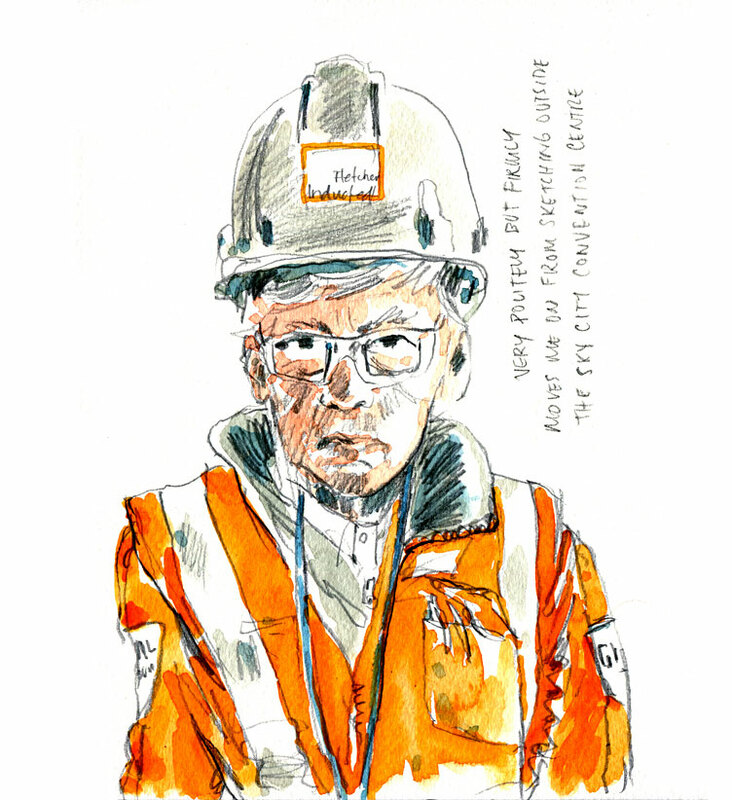 Thanks Luc, must have been great to see them all in action! What tracks did you visit? That must have been great! A lot closer than we could get in New Zealand anyway. The Yas Marina Circuit is one of the imaginative race circuits on this planet seeing innovation and acts as a preparation ground for engine hustling in the Middle East. Other than being a venue for motorsport exercises, the circuit additionally offers offices for gathering gatherings, courses, showcasing occasions, and different events.